Hope you all have a wonderful day! Posting will resume as normal tomorrow, inshallah. Why not take some snaps of your Eid day style and send them in to hijabstyle@hotmail.co.uk ! Sis, I just wanted to congrats you on your many 'press fetures' - I'm happy that your blog is being shown the interest it deserves. Eid mubarak to you too sis! 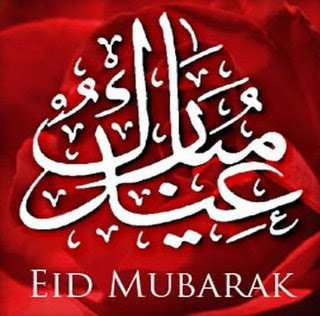 Eid Mubarak to you too...hope you are having a fabulous time...mwah!! lol, another jana!! eid mubarak sister! Eid Mobarak said to you and to all your family, thanks sister for you visit. an interesting blog that i discover!!! i just passed through to wish you a happu aid fitr. Hope your blog would give us a lot more ideas for some lovely outfits for next eid! Eid mobarak! Enshallah it's a wonderful one!